About two month ago, I went to the corner 7-11 where I regularly fill up my tank and started pumping some gas. After the nozzle auto-stopped, I placed it back on the pump and glanced at the display to see what the damage was. To my surprise, the digits were still slowly clicking up. I ran inside the gas station and brought out the attendant who witness the mystery pennies being added to the bill. After a stunned look or two, he asked me what I thought I owed and he paid me the difference. He also promised to have the pump tested. Fast forward a few weeks and I was back at the same 7-11 looking to fill up my four 5-gallon gas cans to prepare for the possible arrival of Hurricane Ike. I pulled up to the same pump and started filling up the cans with $3.72/gal gas. As I was getting toward the top of the 4th gas can, the pump slowed down considerably. I looked up to see that the display was nearing $85 (which is the maximum amount you can charge on a single credit card swipe). As expect, *bang*... a hard stop right at $85.00. How could this be? Twenty gallons x $3.72 = $74.40... and I had not even filled the 4th can yet! I rushed inside the station to once again alert the attendant to an issue with the pump. This time I got a song-and-dance about how it might be a display issue and that I should wait to see my bill -or- perhaps I had overfilled the 5-gallon containers. As I looked at the receipt, it showed that I had pumped 22.795 gallons. Doing some quick math I explained that to achieve this amount of pumped gas I would have had to be pumping gas onto the ground. Unfortunately, no understanding or reason would occur that day. The attendant simply took down my info and said someone would call me. Several days later, I had not received a call and I stopped by the 7-11 to speak to a manager. Long story short, this game of cat and mouse lasted about 3 weeks when I had finally had enough. After broken promises of return phone calls and a resolution from the manager, I called the 7-11 Corporate Hotline for some satisfaction. At 1-800-255-0711, I was issued case #0809112984 and assured a field rep would contact me in about 24 hours. 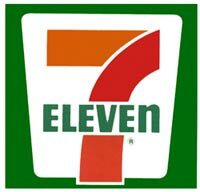 Now, 14 days later and a few calls from me to them later, I am still waiting for a call from 7-11 Corporate. In the meantime, the gas station manager and I finally settled up. One day on my way home from work, I stopped in again to see if the store manager had taken care of the issue yet. The attendant went in the back office and came back with a handwritten note showing that they should pump $7.44 worth of gas into my car. The note arrived at this figure by multiplying 2.8 x $3.72. I explained to the attendant that the manager (a) couldn’t do simple arithmetic, (b) forgot that I had gotten *less than* 20 gallons and (c) hadn’t taken into consideration that the gas price was now $3.98/gal. I fought with the attendant and he finally provided me $10.75 worth of gas. ”Yes, I have one final question for you. Do you feel like you have accomplished a good day’s work and have satisfied a customer?“ And with that, I hang up. Jeers to 7-11. I am working on finding the time to call the Better Business Bureau and the State of Florida Regulatory Commission.